Little Giant JP-075-C (558275) is a Shallow Well Jet Pump with Square D pressure switch, 3/4 HP, Dual Voltage 115/230 Volt, 60 Hz - JP Series, is recommended for supplying fresh water to rural homes, farms and cabins from a shallow well, suitable for installs where the vertical distance from the pump to the pumping water level does not exceed 25'. 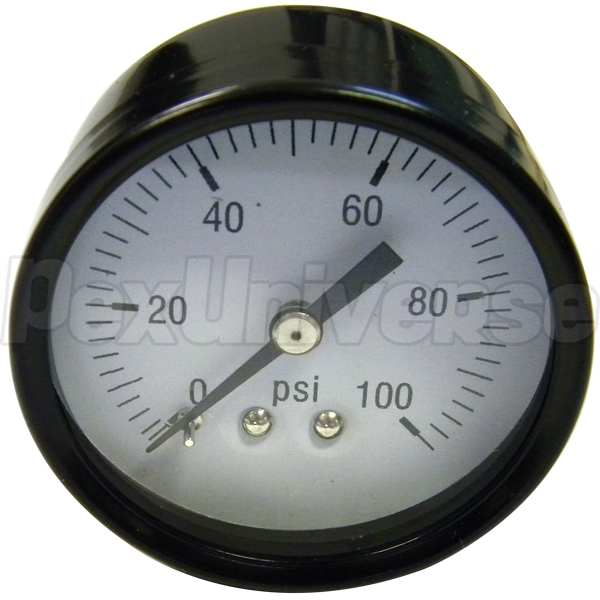 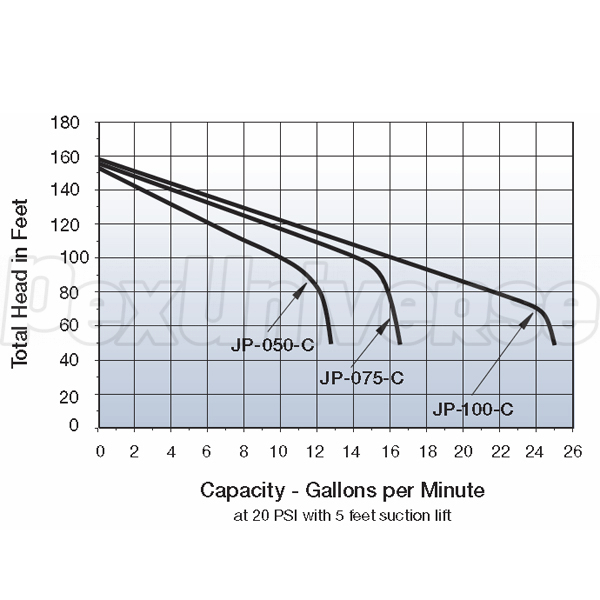 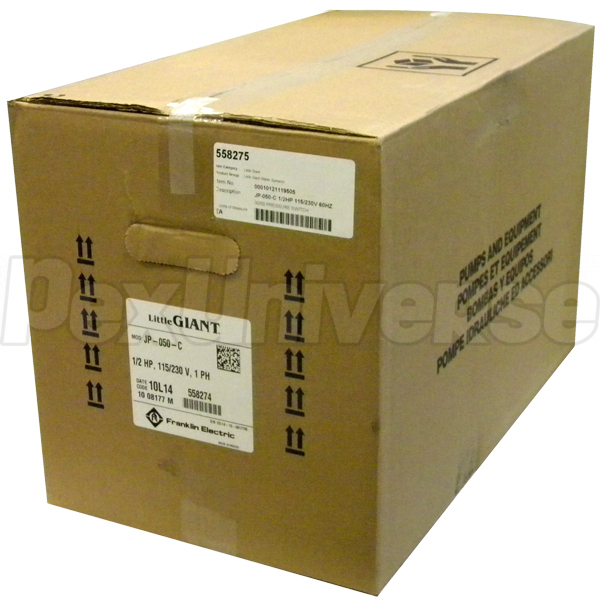 Little Giant JP-075-C features a 1" NPT discharge with head capacity of 150' and brass flow control valve. 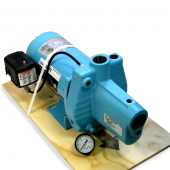 The New Jet Pump with a 1 1/4" Suction NPT was specifically engineered to handle water transfer with high efficiency and long term dependability. 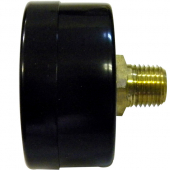 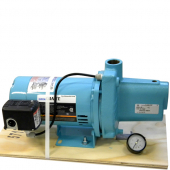 Little Giant JP-075-C boasts rugged cast iron construction and precision engineered thermoplastic impeller, diffuser, nozzle and venturi for high performance and efficient water flow. 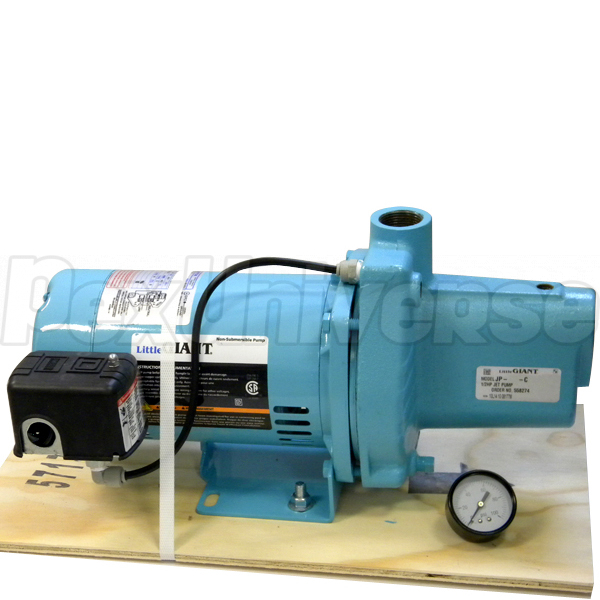 Powerful O. Smith 3/4 HP, dual compartment motor, delivers 16.5 GPM of fluids at 50' (20 PSI with 5' suction lift) and has a higher than NEMA service factor. 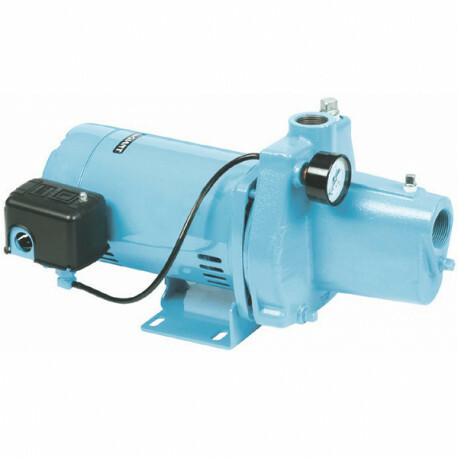 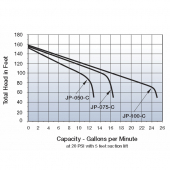 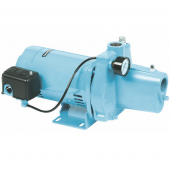 JP-075-C Shallow Well Jet Pump features a pressure gage, factory pre-set 30/50 pressure switch which produces up to 50 PSI with automatic shut-off and a stainless steel motor shaft with dual ball bearings. 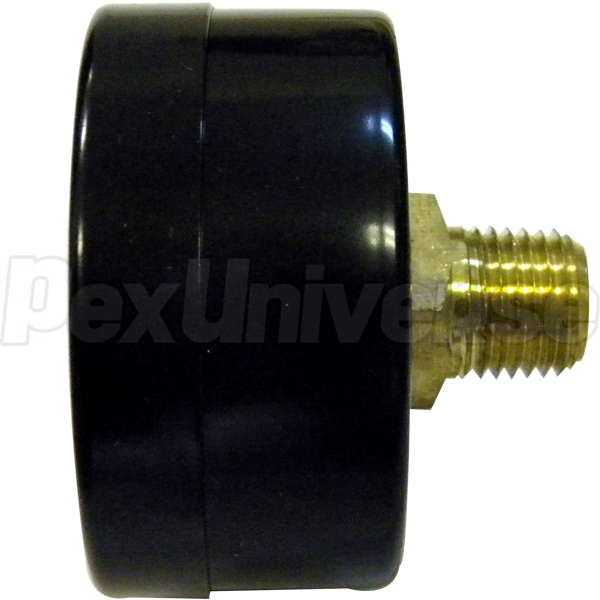 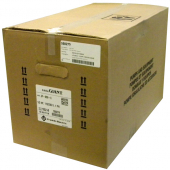 Heavy-duty cast iron casing and seal plate ensure years of service and reliability. 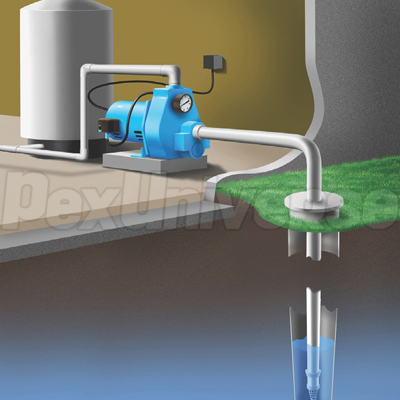 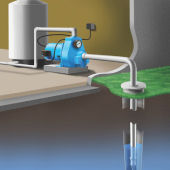 The Pump should be installed at the water source or in a home, farm, or cabin to protect from freezing.